The unprecedented move by the European Commission is the first step in a potentially-punitive process aimed at buttressing democracy and rights in the 28 EU states. 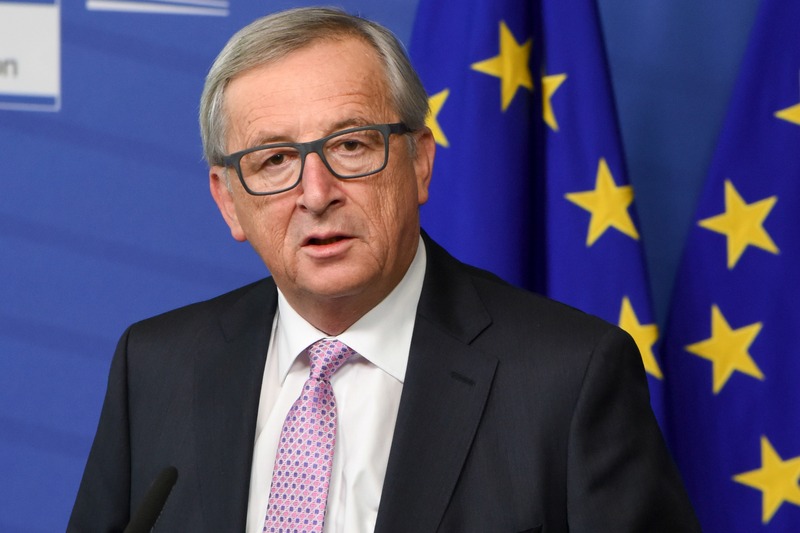 Commission President Jean-Claude Juncker “has placed a first debate on the rule of law in Poland on the agenda of the Commission’s meeting on 13 January”, the executive said. The move comes on the heels of legal moves giving Poland’s conservative government the power to directly appoint the heads of public broadcasters and a controversial law reforming the country’s constitutional court. The changes have triggered an outcry from civil rights watchdogs and prompted escalating warnings from the European Commission that it could intervene, including two letters from its First-Vice President, Frans Timmermans, asking Warsaw for information. Earlier Sunday, Germany’s Frankfurter Allgemeine Zeitung (FAZ) quoted Commissioner Günther Oettinger as saying “many reasons exist… to activate the ‘Rule of Law mechanism’ and for us to place Warsaw under monitoring”. The mechanism was set up in March 2014 to tackle “systemic threats” to the rule of law and other cherished European values. The upcoming Commission debate constitutes the first stage of a three-step procedure. During the initial phase, the executive will collect information and assess whether there are clear indications of a systemic threat to the rule of law. If the threat is confirmed, it will initiate dialogue with the state which will be given a chance to respond. Ultimately, if there is no satisfactory response, the European Commission can propose invoking Article 7 of the Treaty of the European Union. Under this, a member can be stripped of its voting rights in EU institutions if it is guilty of serious and persistent breaches of the rule of law. However, the punishment has never been meted out – and it also has to be approved by a so-called qualified majority of states under the EU’s system of weighted voting. The Commission said it was “too early to speculate about the possible next stages” in the procedure. “We are engaged in intensive dialogue with our Polish partners,” the statement said. The media bill was approved on Wednesday (30 December), just two days after it was submitted to parliament, which since October’s elections has been dominated by the Law and Justice (PiS) party of Jaros?aw Kaczy?ski. To take effect, the new law must be passed by the PiS-controlled Senate and signed by President Andrzej Duda. It would mean that senior figures in public radio and television will be appointed – and sacked – by the treasury minister, and no longer through contests by the National Broadcasting Council (KRRiT). The law would also see the current managers and supervisory board members of Poland’s public broadcasters fired with immediate effect. In an interview with the German tabloid Bild, Polish Foreign Minister Witold Waszczykowski said the law sought “simply to cure” Poland after 25 years of “liberal indoctrination”. Waszczykowski told Bild he was surprised to have received a letter Timmermans. “An EU official, who came to office via political connections, writes to a democratically-elected government … Mr Timmermans is not a legitimate partner for me,” he told the newspaper. But Reporters Without Borders (RSF), the European Broadcasting Union (EBU) and the Association of European Journalists (AEJ) are among those monitors who have voiced deep concern. The law would “effectively bring public service television and radio under the direct control of the government, involve the dismissal of respected journalists for political reasons, and lead to a systematic editorial bias in the content of… broadcasts in favour of the present government,” the AEJ said. Rights groups have also cried foul over what they see as an attempt to neuter the country’s constitutional court. The court now needs a two-thirds majority to issue a ruling, rather than by a simple majority as before, and 13 of its 15 judges must be present for the most contentious cases, up from nine. Only in the antidemocratic EU could a unelected commission intervene in the business of an elected government. I can see you have a limited reading ability – ultimately it is EU MS that decide what to do – not the EC. Maybe the EC should look at the UK, where the BBC is the poodle of the tory-vermin which in turn are the poodle(s) of the auzzie kangaroo shagger – anyway – stick with the Sun or Star – anything more advanced & I doubt you would understand it. Oh & as for leaving – well the polls suggest that most Brits want to stay – perhaps time for you to leave – why not go to …. Saudi Arabia – I’m sure you would find it congenial to your views. Oh dear are we on the editorial staff of Euractiv or the Guardian? So says the man I didn’t see on any ballot paper & is only too eager to install technical governments to continue his agenda against the wishes of the citizens! Eastern European goyim have always failed to understand the Trotskyist nature of the EU. Well, I’d choose the ‘Trotskyist’ EU over pseudo-Christian right-wing dictatot wannabe, anytime!